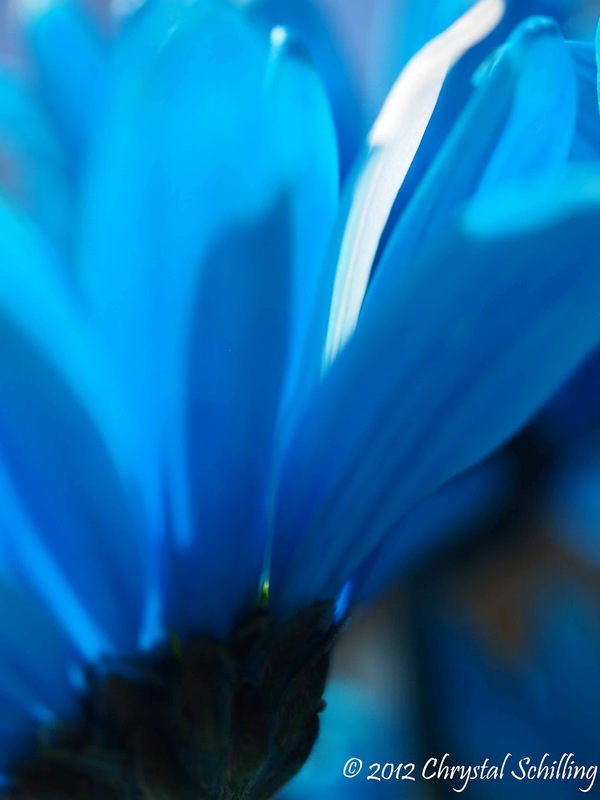 I was out photographing some blue dyed daisies this weekend (Along with my blue toy car - it was a blue day) and I thought I'd take a random shot. I learned this technique from my daughter. I wasn't sure the photo would turn out but I really like it! That's one of the things I love about random shots. In this photo, I am shooting towards the sun from behind the flowers. Thank you for visiting my blog and checking out my photos!